The rich are different than you and me. They have more money and way better stuff. By the time I made it to Buttonwillow Raceway, it was 8:20 am, and private trackday honoree Jerome the jeans mogul had already landed on the front straight in Steve Rapp’s Cirrus SR22, with Steve Rapp at the controls. 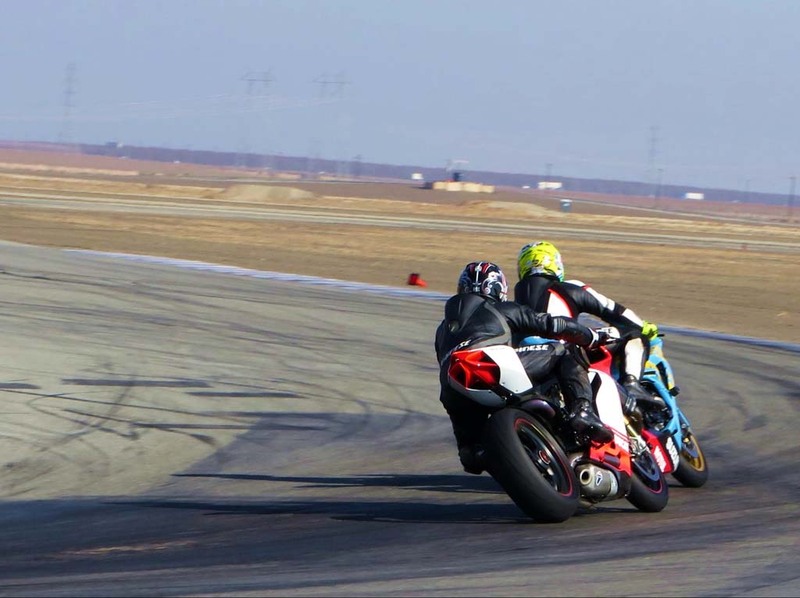 This is how you do a trackday when you’re worth a reported $350 million. Not only do you get Daytona 200 winner/multi-time champ Rapp to give you private instruction all day, you also get him to fly you back and forth. 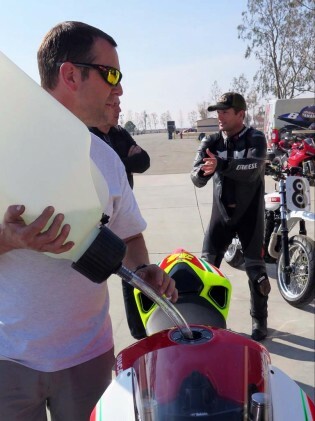 Meanwhile, Chris Redpath had left his shop in Anaheim (MotoGPWerks) at 4:30 am to make the 150 miles to Buttonwillow by 8, with two of Jerome’s bikes in the van and two more on a trailer. By 9:30, we’re almost on the track until there’s a problem with the office lady, who’d told Rapp when he reserved the date that we could share the track all day with some cars for $600. Now she says he misunderstood; she wants $600 per bike, which is going to add up quick since another old pal has shown up with his new Ducati Panigale S and Aprilia RSV4 Factory. There is much discussion in the garage as to how to handle this sudden extortion (and good thing I hadn’t brought my old Yamaha R1, since I was between health insurers, anyway). Conspicuously silent and texting through all of it is our millionaire Jerome. Rapid price escalations seem to be nothing new to him. I don’t know who finally paid up, but it wasn’t me. Redpath adds gas while Rapp raps. 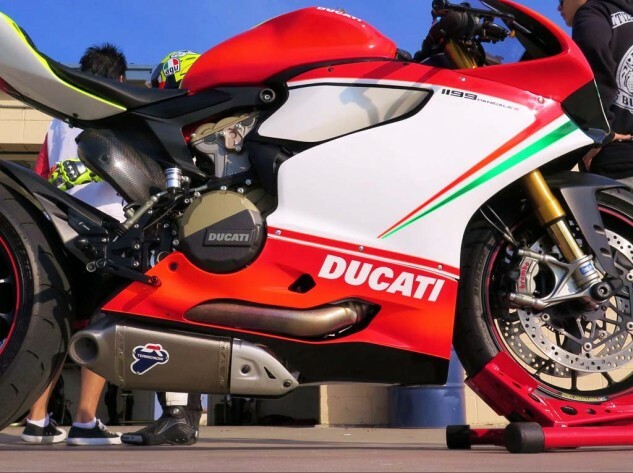 The day before, Red had had to drive the new Panigale to Cupertino to reset its, ahh, something, PIN code, after removing its battery. Once that’s settled, we’re up and running. 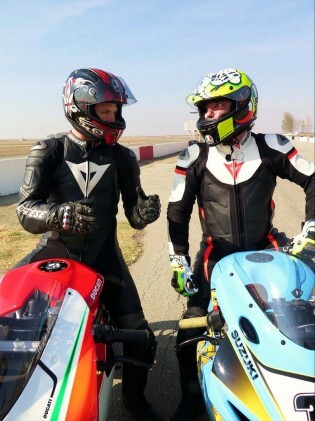 Redpath squeezes Jerome into his leathers: It’s been about 18 months, and his Dainese suit has shrunk considerably. The reason for the long downtime is that Jerome’s last track day was at Milestone Motocross Park, after he’d decided he wanted to learn to moto on the ex-Yoshimura factory Suzuki RM-Z450 he’d just acquired. “I got this!” Jerome had yelled to Redpath after a few laps around the Vet track and heading over to the Pro one. Then it all went wrong: The bike wound up flying straight up the face of a steep jump, bouncing off the rev limiter, with Jerome finally abandoning ship just in time to faceplant on the jump behind it. Jerome’s heart and breathing stopped, says Red, who in addition to being a great mechanic and custom builder is also a New Zealand Army vet with first-aid training. A little CPR had Jerome conscious and smoking a Marlboro again by the time the ambulance arrived, but he was in sad shape for months. Red says he’s reached an agreement with Jerome’s attorney/partner, wherein he isn’t allowed to ride motorcycles unless Redpath is present. It sounds like a sweetheart deal. Maybe it isn’t. Anyway, it’s all come together; Jerome and Rapp are circulating the track. Rapp leads for awhile but his bike has no mirrors (all Jerome’s bikes are fully race-prepped of course), and he keeps leaving Jerome in the dust. After quite a bit of that, Rapp follows instead – though it’s hard to say how much that helps Jerome, whose bike also has no mirrors. Maybe he just needs to know somebody’s there? Rapp occasionally drops way back, then has fun catching up, closing the gap like an F-16 catching a Sopwith Camel. I ask Redpath why he doesn’t just go to regular track days and schools? “Oh, mate…” he rolls his eyes. Jerome looks no slower than most beginners at most track days to me, though it’s tough to gauge since he’s got the place to himself. 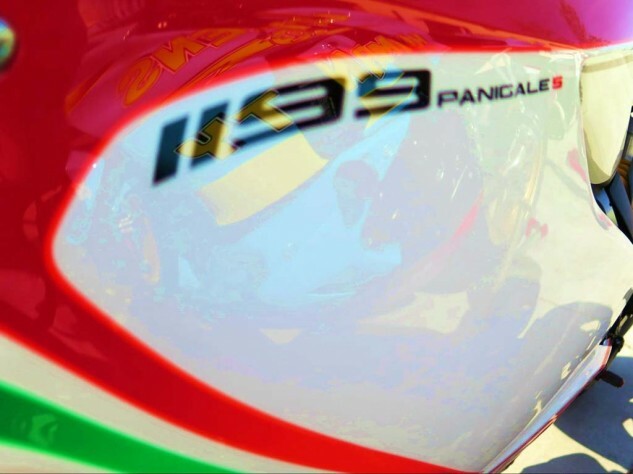 Anyway, Jerome’s new Panigale S is a thing of beauty. 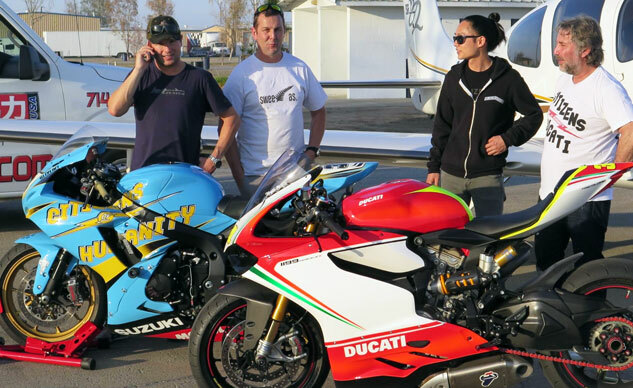 Redpath’s taken the bodywork to Craig Hainey at Hainey Designs for a one-off paint job that looks almost factory until you look closer. Ducati red fades to orange on the bottom sides of the tank when the light’s right, pinstripes exchange subtle colorations, and a multi-hued “34” makes you think Jerome must be a Schwantz fan. Nope, he just likes 34. So be it. The paint’s so deep the white parts look like porcelain. Hainey was Troy Lee’s first employee, spraying paint in TL’s garage out of high school. He’s done all of Jerome’s bikes. With their sweet gold and/or c-f wheels, high-end components and Red’s factory-style race prep, they look more like Faberge eggs than motorcycles. Come to think, they’re what I’d do if I had 350 mil sloshing around, among other things. Or would I? My brain won’t process it. I might just have myself and Bubbles the chimp transported from tropical beach to tropical beach in a hyperbaric sedan chair carried by Russian women tennis players. The Brazilians wish Jerome and Steve were there! I wish I was too. Jerome could make it happen posthaste. Rapp could too: He’s just signed on to fly Airbus 320s for Virgin America. Surely there’s some kind of trade-out? I could go, but I’d have to find work pretty quick. It’s not that money can’t buy happiness. What it can’t buy is cool. You can rent Steve Rapp for a day, but you’ll never be as cool as the Daytona 200 winner. Most guys who don’t drink are slightly suspect. Some guys who don’t drink, like Rapp, almost inspire you to quit, because you realize their brains just work better than yours. In Buttonwillow’s restaurant for lunch, a couple of us mill around waiting for the men’s room. Rapp, who’s aware there’s only one woman in the place and she’s making lunch, strolls into the Ladies. He was probably gentleman enough to lift the seat, because he also has an excellent grasp of karma, and is just charming as hell to everybody including the lunch lady, who puts more chicken in his wrap than in mine. Jerome was a little miffed that the Suzuki’s way easier to ride than the Panigale, which costs way more. Why is that? I needed to be interviewing Jerome and getting his insights into the world for this story, probably, but I couldn’t help being drawn into Rapp’s and Redpath’s racing stories instead: Richard Stanboli’s obsessive work habits and Rapp’s disqualification due to an illegal head on his Attack Kawasaki in 2008 because of it. Mladin’s too-shiny crankshaft the same year made Mladin even angrier than usual at the track, says Red, but in social situations he could be your best mate. From his years in the paddock and particularly ones populated by Australians, Redpath knows many hidden trails through the rulebook. How can you know if a wheel is “stock” unless you take off the tire and look, very closely, at the inside? What I learned about jeans is that you should never wash the really expensive ones. Put them in the freezer now and then to kill the bacteria instead, then brush off the dirt. Jerome owns about 3500 pairs of vintage jeans, which are kept in a climate-controlled storage room at his home in L.A. If Jerome’s happy, I’m happy. But it got me thinking how much fun it used to be to do track days with a bunch of people, most of them strangers, like we did when we were very poor and very happy (nothing much has changed on the monetary front) and there was no big-magazine money to have the track all to ourselves. It was the mixing it up with other people and measuring yourself against them that made it such a moveable feast. Circulating around by yourself is good, too, but not nearly the same. I will eschew the too-obvious analogy. Rapp sold his sailboat to buy the plane, and just signed on to fly Airbuses for Virgin America. Your mom wishes you were more like him. Okay, not your mom but your girlfriend. 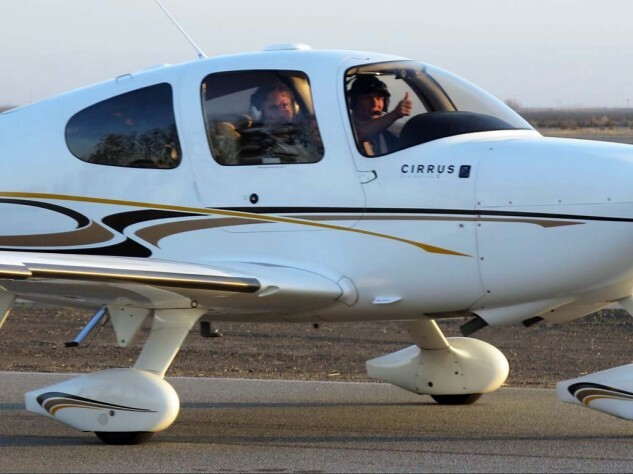 At the end of the day, Rapp packed Jerome and his friend Bernard back into the Cirrus, moved a couple of orange cones aside and taxied out onto the back straight. Red looked at the check Jerome had just handed him and shook his head. It might cover his gas and food for the last two days, and now he was looking at a nasty drive through the belly of the LA beast to get home to the wife and kids before Valentine’s Day would be over five hours from now. 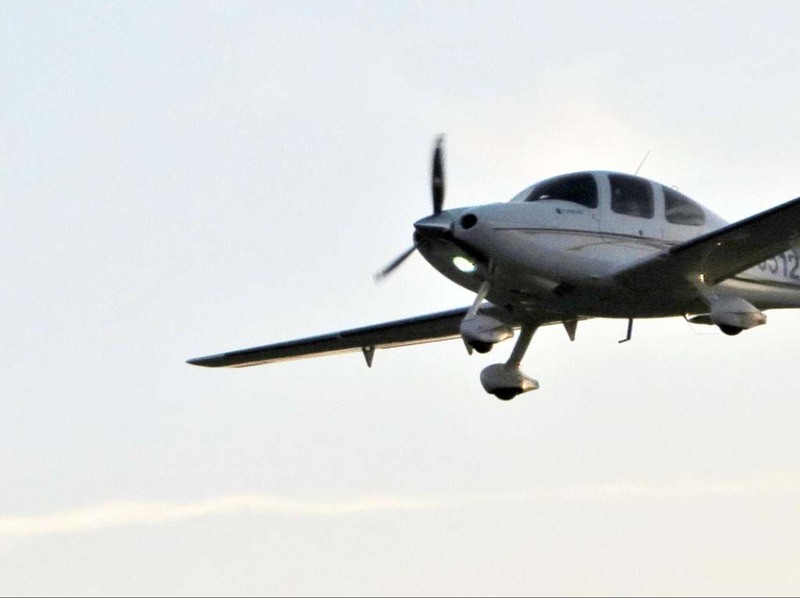 Rapp gunned the Cirrus down the back straight and circled back to buzz me, the last guy at the track, before banking south again toward Santa Monica Airport. Jerome would be in the hot tub in an hour. I opened my trunk and pulled out a folding chair, popped open a cold one from the cooler and sat down to contemplate where I’d gone wrong. I’m still open to suggestions. No thanks, really – I prefer LA traffic.